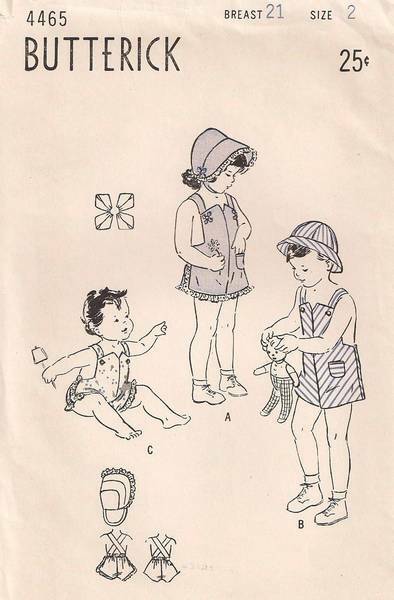 Girls eyelet trimmed sun suit and matching poke bonnet. Petals of bias binding accent the bonnet and sun suit, also. 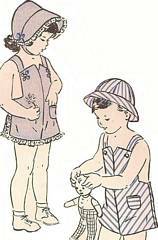 Boys tailored versions of the sun suit and matching brimmed hat. Used and complete. Unprinted, perforated pattern pieces precut to size.